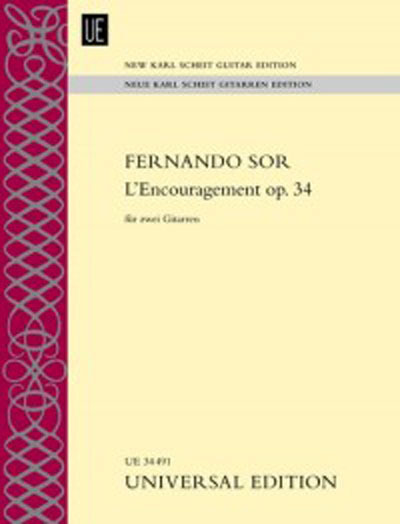 L'Encouragement is, along with Souvenir de Russie, Les deux amis and the Fantaisie op. 54, amongst the most demanding duo compositions of its day. The principal source of this edition is the edited version by Napoleon Coste (1805-1883). In it the two instruments alternate voice so frequently that they are effectively equals and in my opinion it is also more musically impressive than Fernando Sor's earlier version.